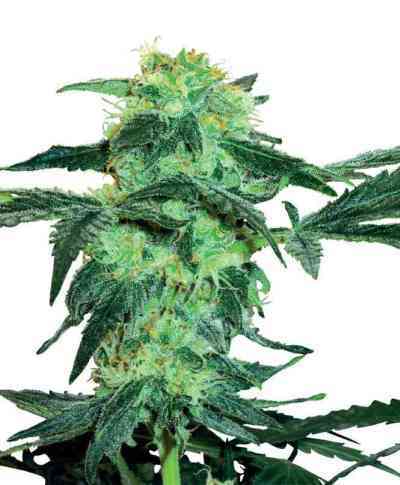 A three-way hybrid of Northern Lights, Dutch Skunk and an original Afghani hash plant cultivar, White Ice is a super-thick, fast-flowering, Indica-dominant cannabis strain. This seed variety is named mainly for the awesome frosting of sticky silver resin glands that cover her solid buds; some growers working with the strain also refer to her as White I.C.E. - Indica Crystal Extreme. When flowering, females could be mistaken for bonsai Christmas trees covered with sparkling decorative snow. 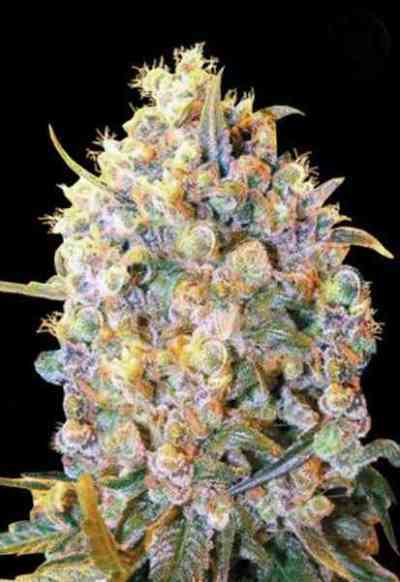 Yield is medium-to-high; the 'frozen solid' density of White Ice buds allows a good harvest even from smaller plants. Her flavour is strong, sweet-pungent and oily, with heavy, expansive smoke. Her effect is stronger still, stoney and physical, yet not stupefying. As the name suggests, White Ice is the ideal smoke for chilling out!